There’s no better way to celebrate the arrival of spring than with an Easter camping trip. Good Friday and Easter Monday mean most of us get at least a long weekend off work. And for kids, Easter brings a well-deserved two weeks off school. In towns and cities, flower beds, spring sunshine and April showers are reminders that summer is on its way. But nothing can beat getting out in to the countryside at Easter time. New life is everywhere in the countryside in spring. Trees come in to leaf, birds nest in hedgerows and lambs appear in the fields. The Secret Campsites at Beech Estate, Wild Boar Wood and Lewes are surrounded by Sussex countryside that is at its very best in springtime. This part of the UK is renowned for bluebells and you can see them at each of our sites. 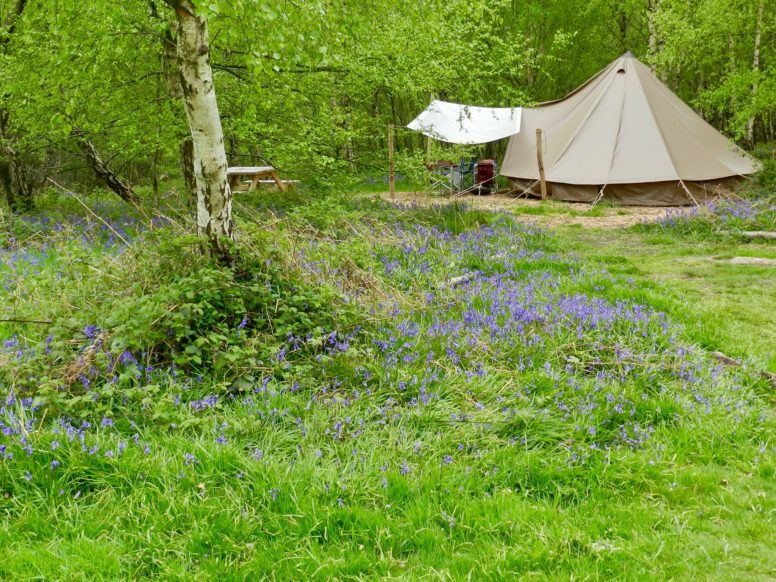 Book a pitch or bell tent at Lewes site, at Beech Estate or Wild Boar Wood in bluebell season, and you will find yourself camping and glamping among them. We can never guarantee when the bluebells are going to bloom but it often coincides with Easter. Keep an eye on our Facebook page to find out when the first bluebells flower. And take a look at our blog post on spring camping for a few more reasons why we think this time of year is perfect for camping trips. For kids (and maybe some of us adults too) Easter means Easter eggs. Whether you usually sign your kids up for an organised Easter egg hunt or create your own in your back garden – we think we can do one better. The Secret Campsite at Beech Estate spreads across 20 acres on the edge of a 600-acre woodland. It’s part of a privately-owned estate which extends even further beyond the woodland and it’s all yours to explore. Can you think of a better and more exciting place for an Easter egg hunt? 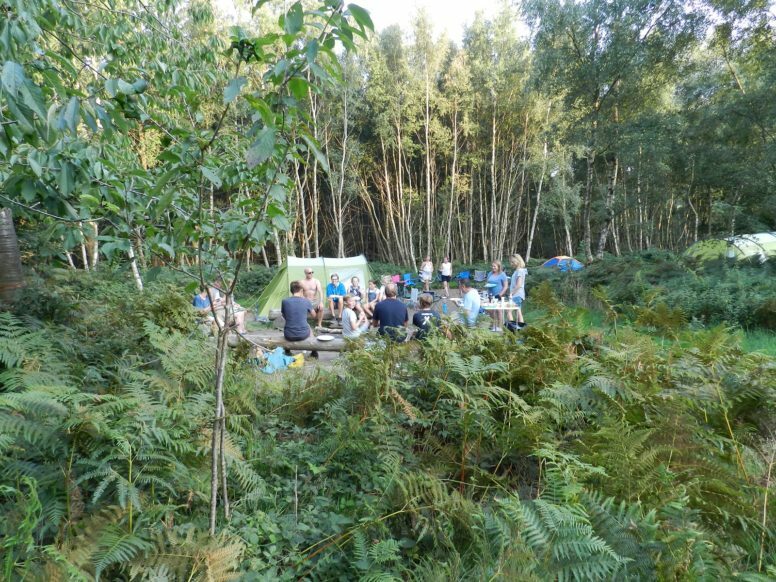 We don’t offer organised activities, as we think creating your own is part of the joy of our semi-wild camping experience. Nonetheless, with so much space, you’re bound to find plenty of inspiration here. If you haven’t got time to plan your own Easter egg hunt, there are plenty of places nearby that have annual Easter activities. 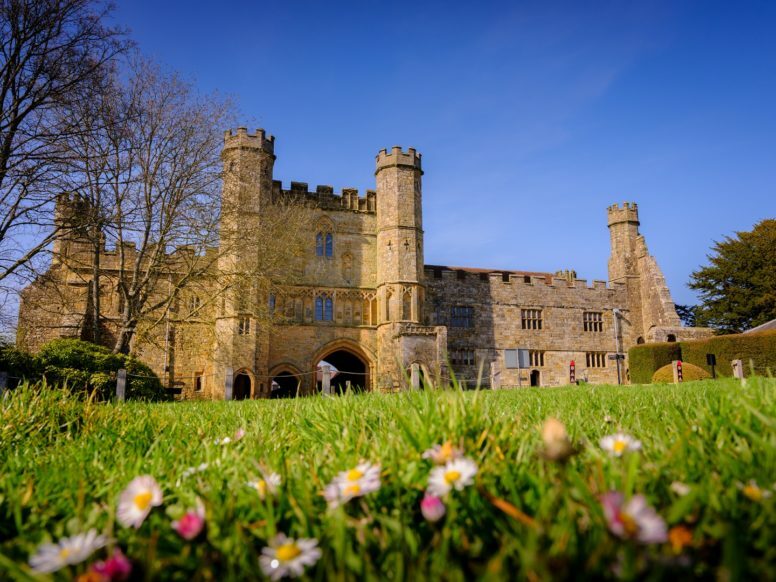 Battle Abbey is just a couple of miles away from The Secret Campsite at Beech Estate and is one of the most popular family-friendly attractions in East Sussex. Managed by English Heritage, it has an ever-changing timetable of events and a great play area too. 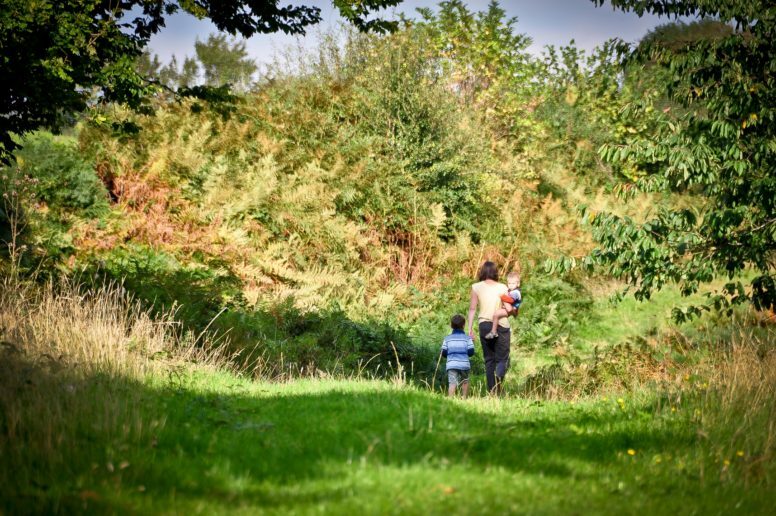 There are plenty of other attractions nearby so you won’t be short of family-friendly places to visit on an Easter camping holiday at Beech Estate. If the real meaning of Easter for you is to do with faith or family, an Easter camping holiday can still fit the bill. There are plenty of churches in the Sussex countryside and you could organise an Easter Sunday walk to one of them. Away from the distractions of modern life, camping offers the opportunity to reconnect with loved ones which makes it great for family time. 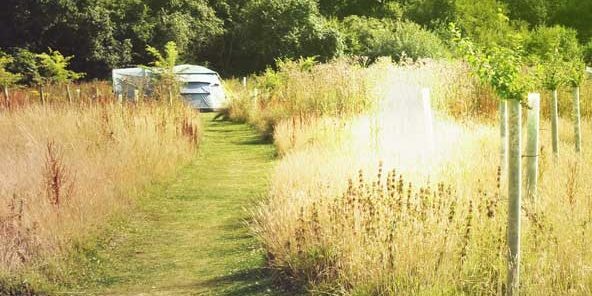 We have space for extended families with lots of options for group camping and glamping. You can catch up round the campfire, play board games and organise your own Easter egg hunt. It’s traditional to have a roast at Easter and you might think that an Easter camping trip would mean that was off the table. Think again. At The Secret Campsites, you can hire a Dutch oven. 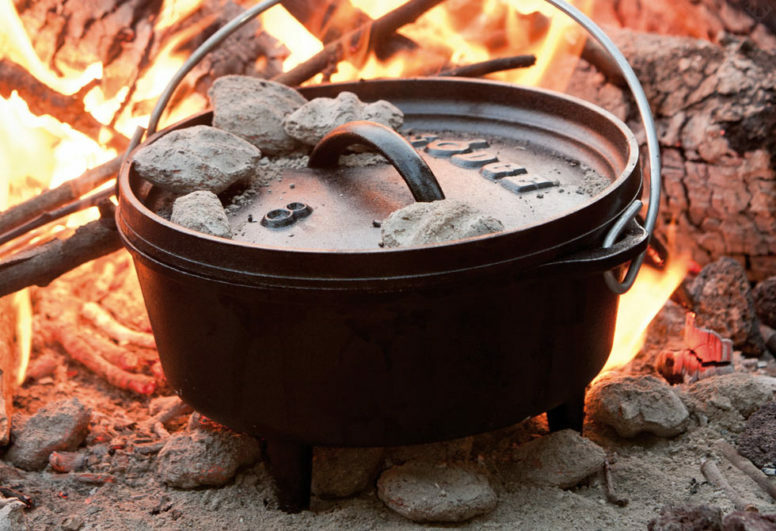 These cast iron camping pots are perfect for cooking up a feast – and even a roast is possible. If that sounds too much like hard work, head for one of the pubs near our campsite. Alternatively, you may prefer to do away with tradition and opt for something else entirely! Check out our campfire cooking recipes for inspiration.